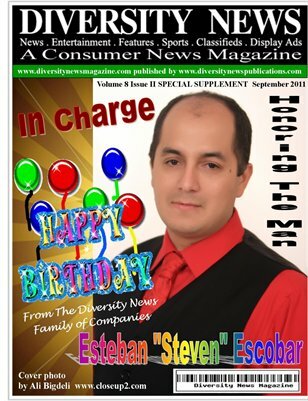 Diversity News Magazine Special Print Autumn Edition Featuring and Honoring The Man In Charge Steven Escobar. Diversity News Magazine Special Print Edition Are Available to order now. Order yours today.